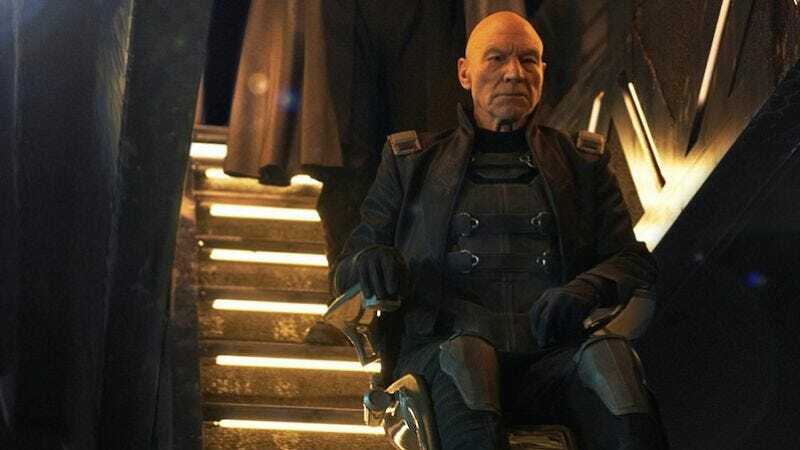 Patrick Stewart’s retirement from X-Men movies hasn’t even started, but he’s already teasing that he’d return to the role of Professor X for a Deadpool movie. It’s not that he’s really desperate for a chance to show off his comedy chops outside of American Dad, though, he just seems to think that Ryan Reynolds’ tongue-in-cheek approach to superhero movies would be a good way to “justify” bringing Xavier back. This comes from an interview that Stewart and his Logan co-star Hugh Jackman did with MTV, and while it’s far from being any kind of actual confirmation, it does suggest that Stewart’s decision to retire is less about being tired of the character than it is about him simply believing that Logan is the perfect place to wrap things up. As noted by Screen Crush, the timeline of the X-Men movies means it would be very easy for Professor X to show up in the present-day setting of Deadpool without having to jump through any narrative hoops, so it seems like the only thing Reynolds and the Deadpool 2 team need to do in order to make this happen is come up with some great cameo or subplot that necessitates an appearance from Xavier. From there, it should be easy to convince Jackman to return to play Wolverine, and then they can just make it into another X-Men movie.